• The only company in fundraising to have College, NFL, NBA, MLB, & NHL licensing! 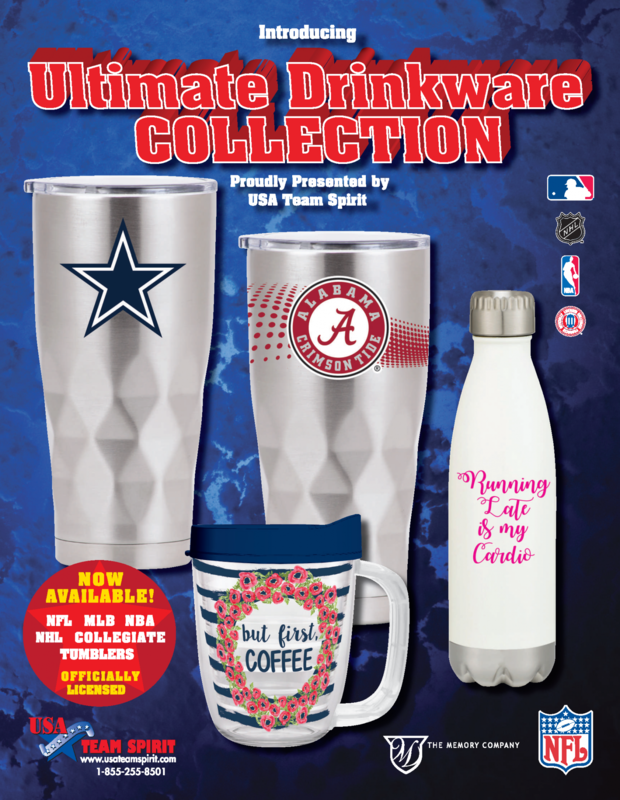 • This brochure combines all 30 NFL Teams, Colleges, all 30 MLB Teams, 52 of the most popular colleges, 16 non-sport female friendly designs, & 2 Swig designs all in 1 great brochure. •With more teams, sports, & designs than anyone else we have what your customers want. • Also, a custom tumbler design is ALSO AVAILABLE for your school/group with only a 72 custom tumbler minimum!